“The truest and most important things we can ever say are not individual words but communal words. Most of the words of my life are trivial and fleeting. They fall from my lips and drift away like dead leaves. But in the creed I am invited to say true words. In confessing the faith of the church, I allow my own individual “I” to become part of the “I” of the body of Christ. 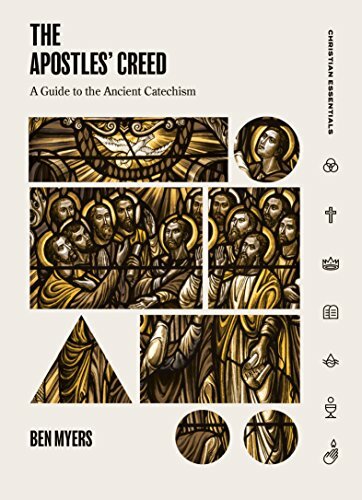 Myers brings a well-rounded perspective to his discussion of the Creed, often quoting Church Fathers such as Isaac the Syrian, Athanasius, and Gregory of Nyssa, but also bringing in later writers, from Julian of Norwich to Karl Barth and British theologian Sarah Coakley. “To judge is to discriminate, to separate one thing from another…When the ancient Christians talked about divine judgment, they were careful to avoid the impression that there are two different gods, a god of wrath and a god of grace…The one face of God is revealed in Jesus.